By Jessie Peitsch · January 15th, 2019 at 4 p.m.
Layers, textures, flare and style. January – the beginning of a new year and a new semester. For many, back to school means back to fashion. This is a time when we get to show off our fashion sense with either new or re-inspired outfits. 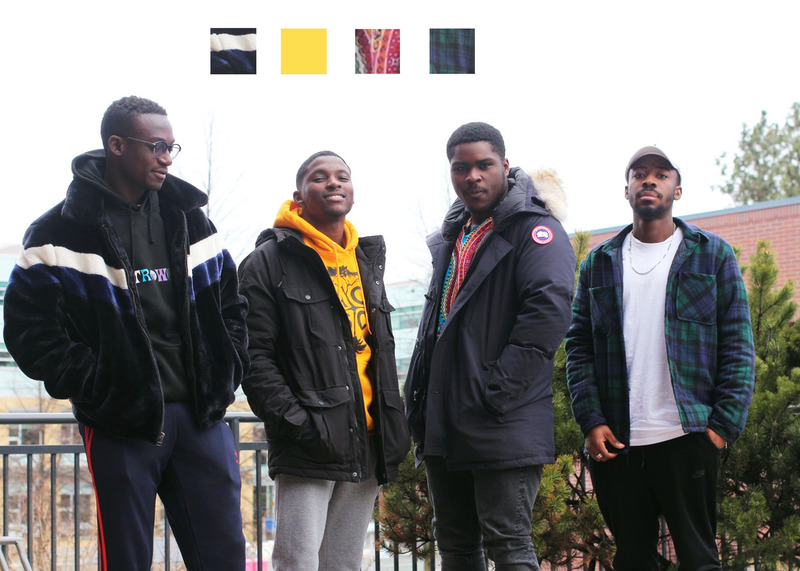 While some of us remain in sweatpants due to the residual trauma from family gatherings over the break, others have embraced the new year by showing off their creativity through clothes. If I were to define this year’s fall/winter fashion with one item, it would be the faux-shearling jacket. It seems as though every fashion store around is selling them. Not only are these jackets fashionable, but they are possibly the coziest thing you’ll ever wear other than your housecoat. The layering of similar colours has been popular in recent fashion. 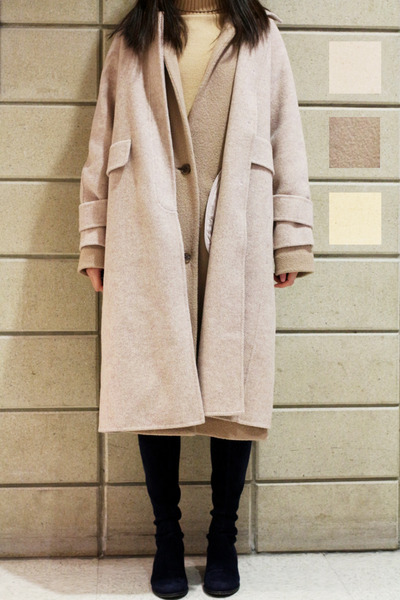 Here, two neutral coloured jackets are layered overtop a neutral turtleneck sweater. In doing this, she creates a simple yet elegant outfit that will surely keep her warm this season. Fashion is one of many ways to display your personality and here we can see each guy is sporting his own unique style. Their mix of textures and colours create an exciting look that will surely keep them warm from the cold. 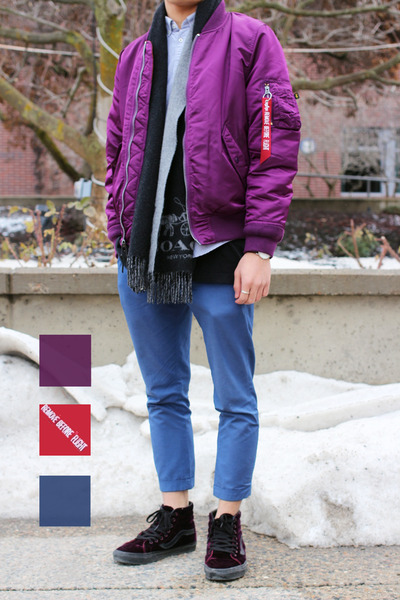 The bomber jacket has been in style for a few years now, but here we see it re-inspired in a bright purple. His jacket is a statement piece that adds flare and personality to his layered outfit. The scarf hanging open beneath his jacket adds another textured layer that makes his outfit so captivating.